Be warned, your face may hurt from laughter after seeing, Fairy Tale Theatre 18 & Over: The Musical. This show is frinkin’ hilarious. 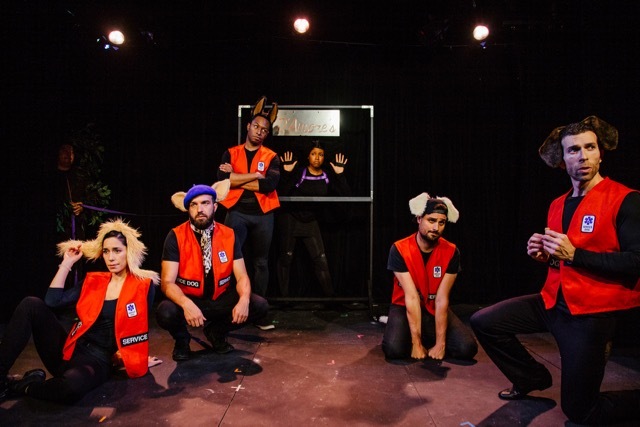 Originally inspired by a hot date gone wrong (and who can’t relate to that), “Fairy Tale Theatre 18 and Over” took Los Angeles by storm during a sold out run at the Matrix Theatre in 2011. It caught the attention of Billy Crystal’s Face Productions and is currently optioned at Warner Brothers digital with Wildline Entertainment. 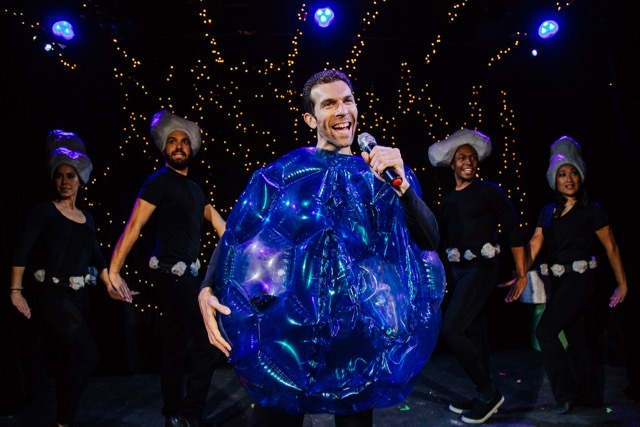 Writer Michael J. Feldman has since created additional iterations on stage, winning the hearts and attention of both audiences and critics, and has now returned to Los Angeles with the musical version playing at The Pico for a limited run. Grab the kids and drop them with the babysitter, then treat yourself to an adult night out. 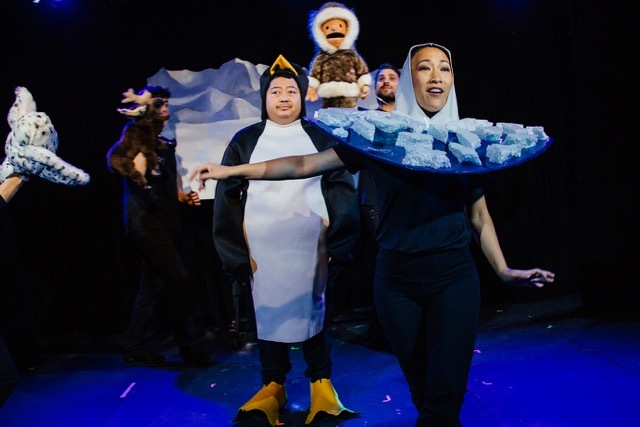 Ammunition Theatre Company has made bold choices this season, garnering themselves several Stage Raw awards for Bernardo Cubría’s “The Giant Void In My Soul,” and their latest choice, “Fairy Tale Theatre 18 and Over: The Musical” is paying off with great ticket sales and even more critical acclaim. The play offers audience’s important life lessons digested with lots of laughter and original music. The delectable menu of tales includes a gay cat ballet, operatic singing, people and puppets telling stories about following your dreams (a penguin who sets out to fly), practicing what you preach (a privileged service dog calls out inequality, but refuses to give up the vest), and even trying to connect in a universe with so many shining stars, most of whom are looking like happy clusters, not unlike living in Los Angeles (but really, they’re all alone just hoping to avoid falling into the black holes). Feldman tells us, “I knew this production was way too massive and expensive to mount. So I shelved it for years. But, fortunately, I joined a theatre company with a bunch of insanely talented people and they decided to put it up for their fall 2018 season. Without their resources, I never would have been able to mount this production. Some of those talented Ammunition members include the cast with Sheila Carrasco, Matt Cook, Jason Currie, Michael J. Feldman, Tina Huang, Jess McKay, Burl Moseley, Jason Rogel, Colleen Smith, Cloie Wyatt Taylor, and Greg Worswick. Jason Currie is the Music Director/Composer, Alexandra Friedman created the Scene Designs, Andrew Schmedake is the Lighting Designer, Dalmar Montgomery the Sound Designer, Stephen Rowan the Costume Designer), Meghann Lucas the Choreogrpaher, and Noriko Ogawa the Keyboardist. Produced by Kim Hamilton and Bernardo Cubría, don’t forget to get it while you can! With only a few perfomances left, this is a show that shouldn’t be missed.